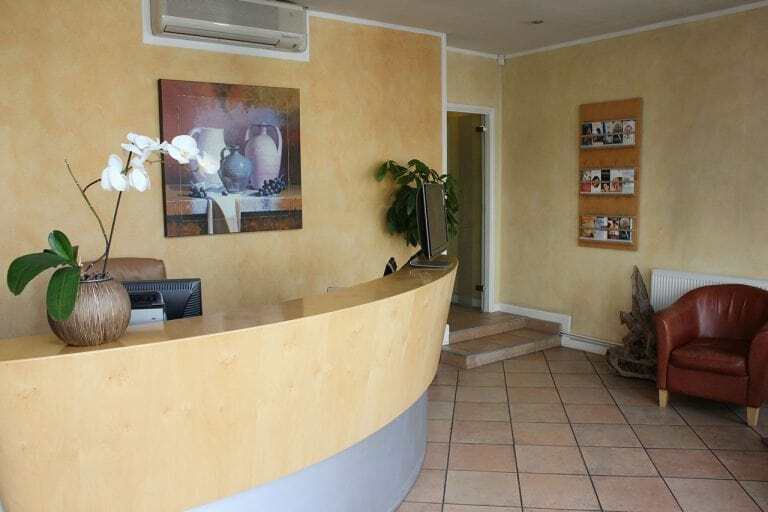 We at Surbiton Smile Centre believe that our practice is based on the professional excellence of our team of dedicated specialists. We are all fully qualified in our respective fields and constantly keep up-to-date with the latest equipment and techniques, through attending postgraduate studies and courses. Dr. Simin Soltani graduated from Karolinska institute in Stockholm, Sweden in 1994. After working as a dental surgeon for 6 years in several private clinics across London & Stockholm, she established the Surbiton Smile Centre in 2002 with the aim of provide the best quality dental care to each individual patient. She devoted one year to studying Aesthetic Restorative Dentistry to gain further expertise in Cosmetic Dentistry. Shortly thereafter she completed a diploma in Implant Dentistry at the Eastman Dental Institute in London, followed by a post-graduate Master program of Westphalia Wilhelm’s University of Muenster, Germany in 2010-2012, where she received her Master’s Degree in Oral Medicine in Implantology. The program is mainly focused on Implant Dentistry, surgical procedures such as bone grafting, bone augmentation, and sinus lift procedures. Dr. Soltani is an advocate of Preventive Dentistry and believes minimal and aesthetically-aware dentistry is the best approach for her patients in the long term. She strives to make such level of quality in dental care affordable for everyone. She and her team members are committed to carrying out reliable, long-term, and predictable treatment for patients in all stages of life. Dr. Soltani offers Dental Implant Treatment, High Aesthetic Veneers, Ceramic Crowns and Bridge work, Bone Grafting, Periodontal Surgery and Rehabilitation, Occlusal Reconstructions, and Full Mouth Reconstruction. Over the years, her expertise has helped many patients restore their smile to their natural beauty using the latest technology in dental care. Simin is fluent in English and Farsi. 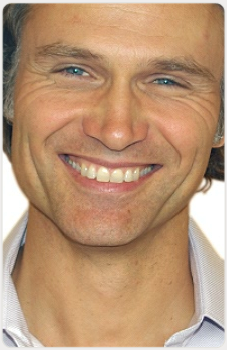 Dr. Ingo Voges graduated from the University of Dental & Oral Surgery, in Kiel, Germany in 1993. He received specialized training in full mouth rehabilitation and restoration at the University Hospital in Munster for two years. 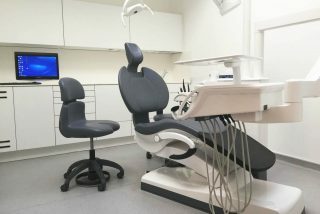 To pursue his passion for dental implants and periodontology, he then took up a specialist position at the International Centre for Dental Implantology (IFZI) in Nuremberg, Germany, where he performed many specialized procedures in full-mouth restoration including dental implants, and bone grafting and sinus lift. During this time he also pursued a postgraduate study in Oral Medicine and Implantology at the Westphalia Wilhelm’s University of Muenster (IMC). He gained a Master’s degree in Oral Medicine and Implantology. Dr. Voges actively coaches and mentors other dentists internationally. He has a teaching position in implantology at the University of Munster and is involved in academic research in the same subject. Dr. Voges works with dental teams in several countries across Europe, particularly focusing on complex patient cases. He routinely works in hospitals and clinics in Hamburg, Helsinki and Switzerland. 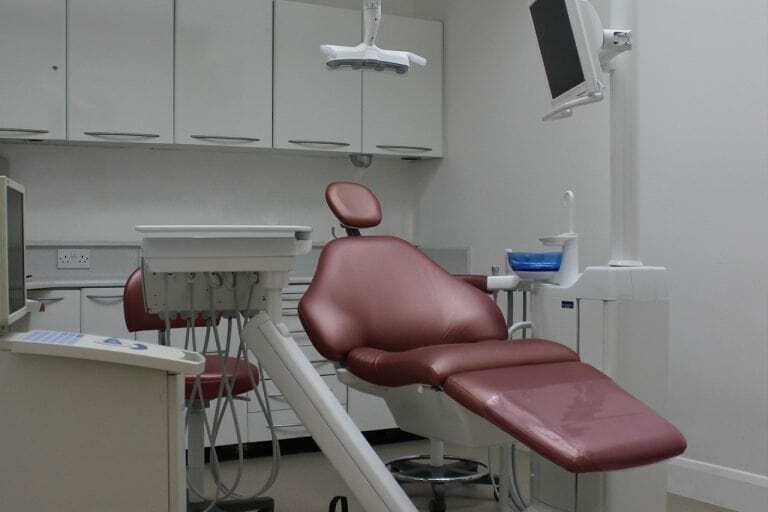 His focus is on treating patients with complicated dental problems by offering advanced dental treatments for gum disease, implants, bone grafts, sinus lift, and soft tissue grafts. Dr.Voges is highly regarded by his patients and colleagues for his professionalism, dedication, and quality of care. “I believe in patient-centred, high quality, predictable dental treatments with involvement of the right technology. Everything related to natural healthy teeth, including beautiful smiles, food enjoyment and socialising confidently is my present to my patients” says Dr. Voges. Ingo is fluent in English and German. 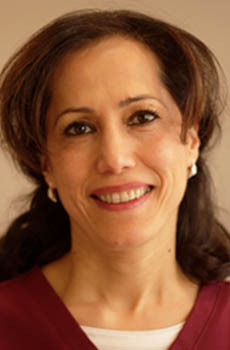 Nilufar is a highly experienced and skilled orthodontist and has been providing excellent care for her young and adult patients for over 20 years.Qualifying as a dentist in 1996 she started her orthodontic specialist training programme in Germany, which she completed in 2006. She carried on with 2 years additional training in the UK at Guy’s hospital. She is a top rated, caring specialist orthodontist trying to make her treatment the most pleasant experience possible for all her patients by using the very highest standards in advanced modern orthodontics and speedy treatments, with the best possible outcome. She focuses very much on facial aesthetics providing not only a good bite but also a beautiful smile with facial harmony. Invisible braces have been a main focus for many years and she has treated some of the most complex cases using lingual appliances. She is also well known for non-surgical and non-extraction orthodontic techniques saving patients from going under the knife or having healthy teeth extracted. 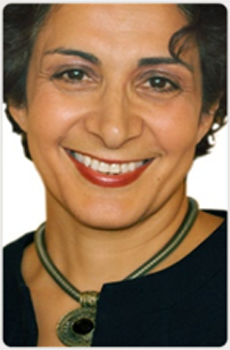 She is an active member of the British Orthodontic Society and the British Dental Association. Nilufar is fluent in English, German, and Farsi. perience in sedation Tony is one of the most qualified dental sedationists in the UK. His primary interest is in making the patient’s experience as comfortable as possible. He is trained as a dentist in New Zealand and returned to UK in 1977. As this was in the days before specialists were so numerous and available he became a General Practitioner working on the NHS and privately. He did everything from simple fillings to endodontic and advanced Minor Oral Surgery (apicectomies, surgical removal of wisdom teeth, implants, etc.). He found his interest in general anaesthesia and sedation that helped with patient management and acceptance of treatment plans. He sold his practice in 2000 and returned to New Zealand for a while. When he came back to the UK he decided to follow his main interest in dentistry which is people. He did two postgraduate qualifications in Sedation and Pain Management, one in South Africa and one in London and have continued to work as a travelling seditionist ever since. Outside general and specialist dental practices he has also worked in Community dentistry and a Secure Mental establishment (Broadmoor). Wendy Piercy qualified as a hygienist from the Eastman Dental hospital, London, in 1986. 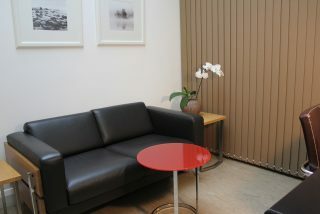 She is backed by almost 20 years experience, and has worked in various practices across London. 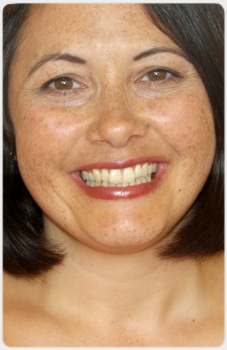 She joined Surbiton Smile Centre in 2002. Wendy is specialised in offering our patients preventive care. She provides professional cleaning, as well as advice on how to keep your teeth and gums healthy. Claudia joined the team in March 2014 as a full-time receptionist. She quickly became an asset to the practice, Claudia is friendly and welcoming. Her interest in dentistry soon became apparent and she starts a dental nurse course in May 2015. Claudia is Head Receptionist and is a vital team member leading the everyday running of reception. Claudia has excellent customer service skills and is happy to help and answer any questions or queries patients have whilst visiting Surbiton Smile Centre dental practice. Fernanda joined our team in January 2013, has become a vital member of the team. She has been working closely with Dr Soltani and Dr Voges assisting then with all type of dental treatment. She also works with Dr Swanepoel as an orthodontic dental nurse. Fernanda is keen on learning about all aspects of dentistry. She is very caring and able to put them on easy by her kindness and patience. Fernanda has over 8 years experience in dental nursing, enjoys playing Maracatu, a Brazilian rhythm which is presented at the Notting Hill carnival. Fernanda se unió a nuestro equipo en enero de 2013, s e ha convertido en un miembro vital del equipo. Ha estado trabajando estrechamente con la Dra. Soltani y el Dr. Voges ayudando entonces con todo tipo de tratamiento dental. También trabaja con el Dr.Swanepoel como enfermera dental ortodoncia. Fernanda está interesada en aprender sobre todos los aspectos de la odontología. Ella es muy amabl e con los pacientes y capaz de ponerlos en fácil por su amabilidad y paciencia. Fernanda tiene más de 8 años de experiencia en enfermer ía dental, disfruta tocar al Maracatu, un ritmo brasileño que se presenta en el carna val de Notting Hill. Fernanda se juntou a nossa equipe em janeiro de 2013, tornou-se um membro vital da equipe. Ela tem trabalhado em direta colaboração com o Dra. Soltani eo Dr. Voges ajudando-os com todo o tipo de tratamento dentário. Ela também trabalha com o Dr. Swanepoel como enfermeira dental ortodôntica. Fernan da é interessada em aprender todos os aspectos da odontologia. Ela é muito gentil com os pacientes e capaz de colocá-los em tranquilo por sua bondade e paciência. Fernanda tem mais de 8 anos de experiência em enfermagem dentária, gosta de tocar Maracatu, um ritmo brasileiro que é apresentado no Carnaval de Notting Hill.